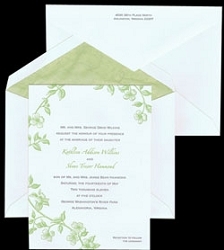 Alan's has a large variety of letterpress wedding invitations, in all styles and colors. 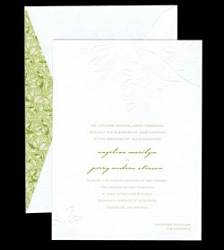 It is very difficult to see the beauty of letterpress online-the texture of the paper, the texture of the letterpress itself is almost impossible to convey here. 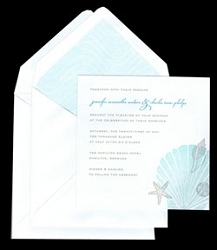 Come in to see much more and let us help you find the perfect letterpress invitation.